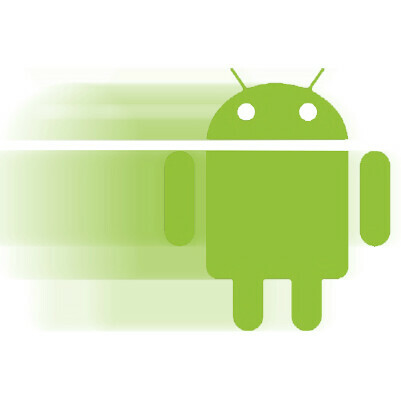 Last time we had heard about the next bugfix update for Android was in early February, where the rumor was that the update would be coming to the Galaxy Nexus sometime in March, but it looks like there has been a delay. Now, the new word is that the update will be coming in April. The rumor comes from Mobile Panda, a reliable source at least for Verizon products, via Twitter. The tweet makes it sound like Mobile Panda is testing the update on the Verizon Galaxy Nexus, saying it "works great on Verizon". The tweet also confirms the presence of at least two bugfixes with repairs on the audio reboot bug and the "data falling asleep" issue. There was no mention of if this update will also be coming to the GSM Galaxy Nexus, but the last time we saw rumors on this, the info came from a French website, so this may be a universal update. If not, we really don't know what is happening, since there was a leak of a 4.0.4 update promising speed improvements for the Verizon Galaxy Nexus, but that never made it to the wild. Maybe this update replaces that one, or maybe it will be for all Galaxy Nexus users. there was an update, are you rooted? no sir completely stock. i double check my update status every couple days but even today after seeing this article it still says 4.0.2 is the most current. Go into settings and go under check for update? Sorry, fixed that. There was a leak to 4.0.4, but never an official release. I misremembered when I originally did the writeup. No, your not missing anything. The only official update for the Verizon Galaxy Nexus has been 4.0.2. Version 4.0.3 was released for some phones and was apparently reported to be super buggy, so the update was pulled. Version 4.0.4 was leaked for the CDMA GNex and was available for those who were rooted. It apparently brought a lot of awesome fixes, which I assume will still come with 4.0.5, so I'm really hoping this rumor plays out. are immigrant workers now being paid to spam websites with random buzzwords and half english phrases? Maybe its just Sarah Palin trying to voice her opinions in the tech world. that's a half assed truth 1. android has tools so devs wont have to worry about app compatibility, if they where smart enough to read the android programming guidelines they wont be in trouble 2. an app can choose what devices it does not support or how it should run on different phones with a few lines of extra code 3. this 4.0.5 is a small bug fix update, any app compatible with 2.3 (most of the market apps) will work with no issues on ICS, it just wont use the new bar 4. despite the "fragmentation from hell" android apps crash much less than iOS apps, so users should not have too many issues with apps. there was an article on here not too long ago in support of protozeloz's 4th statement. Don't reply to brainless posters guys, you just make their game. I stopped 'cause there's no reason to argue with losers. My Verizon Galaxy Nexus is still running 4.0.2 also when was this update released? and was it an official release? Yep. It is no surprise everyone's SGN is running 4.0.2 just like my stock SGN has been since launch day. No updates available.